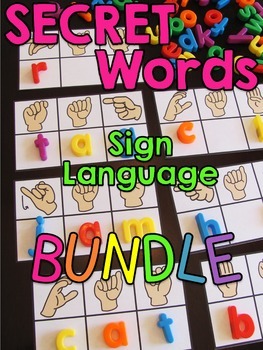 Secret Sign Language Centers huge BUNDLE of all my best selling Secret SIGN LANGUAGE centers! There are almost 1000 word cards here - sight words, CVC words, CVCe words, digraphs, blends, vowel teams, and more! Students build each word by figuring out each letter in sign language on each card. 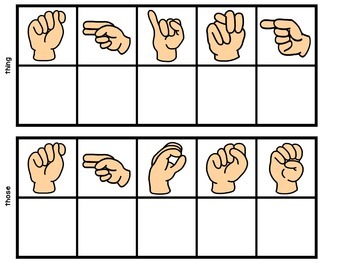 A sign language chart is included in color and black and white for reference. This is an AWESOME center for high students or a 'when I'm done' type activity. Check out this blog post to see how I use my Secret Sight Word cards! You can laminate the cards and have students use dry erase markers to write the letter for each sign then write them on their recording sheet when they're all done. You can also use bottle caps (water bottle caps work great!) with letters written on them to put in the boxes, alphabet magnets, or any letter manipulative! Several levels of recording sheets are included so you can decide what works best for your class and differentiate for the different learners in your class. I have included a really easy to use table of contents in each pack that lists all of the words by sound and you simply click on the word you need and it will take you to that page. This will make it SO easy for planning each week - just click on the words you need that week, print, and go! 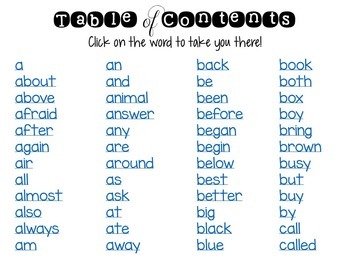 Your students will love figuring out the secret word! These are perfect for a literacy station to practice working with words and are especially great for fast finishers who need a challenge or want to see something different than the typical working with words activity. 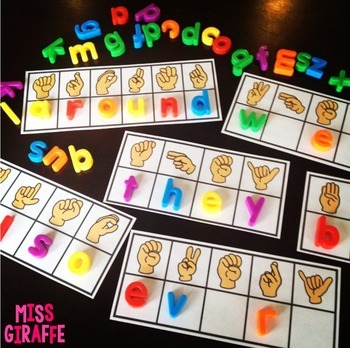 I also have Sign Language Alphabet Posters if you want to hang up reference posters in your classroom!